It's the middle of the summer, so it must be time for the Bite of Seattle! 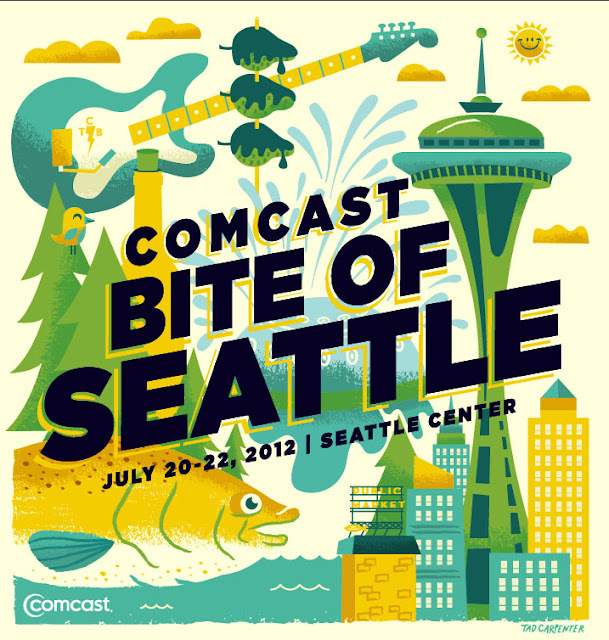 This year's event features over 50 Seattle area restaurants, and over 30 food product companies. The Bite offers beer gardens with local craft brews, and wine tasting from Washington wineries. The Bite is bringing back The Bite Cooks! which is the popular interactive live cooking show hosted by Thierry Rautureau of Luc and Rover's. The Bite Cooks! showcases chefs from some of Seattle's popular restaurants. There is so much more to check out at the Bite of Seattle, so check out their website for the entire list of events. When: July 20-22, 2012, Friday & Saturday 11 a.m. - 9 p.m., Sunday 11 a.m. - 8 p.m.